Gov. Jerry Brown is working with state lawmakers on a proposal that would increase thinning of California forests and decrease the likelihood of more devastating wildfires tearing through the state. Brown’s proposal would let landowners clear out trees up to 36 inches in diameter — up from 26 inches currently — in an area as large as 300 acres without a permit. It would also allow landowners to construct a road no longer than 600 feet without a permit, provided the damaged area later be restored and replanted, The San Jose Mercury News reports. The state’s logging industry is backing the proposal, while environmentalists say the law is too lax and could result in the harvesting of old-growth redwoods without enough oversight. 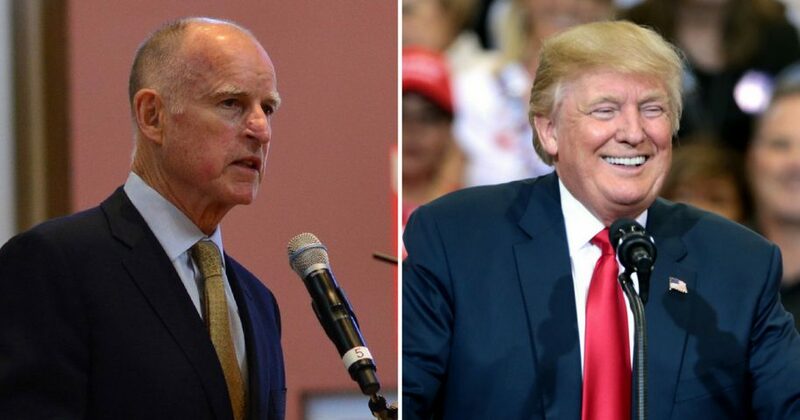 California’s environmental laws were forced into the national spotlight in early August when President Donald Trump blamed “bad environmental laws” for the severity of the wildfires that were coursing through the state. Interior Secretary Ryan Zinke was soon at the front of the administration’s drive to relax California’s environmental and water laws to promote more active land management policies. Zinke traveled to California to see the damage from the fires and meet with local officials and firefighters. Zinke also dismissed calls that climate change is playing a significant factor in the wildfires’ intensity. Do you think thinning the California forests is a good idea? Many of California’s forests are overgrown, some areas with 10 times the number of trees than the space can support. Historically, wildfires were a stable through the California landscape, popping up about every decade and burning through excess fuel while leaving the oldest, healthiest trees to continue growing, The Mercury News reported. In recent decades, fire suppression has taken priority over active land management, allowing fuel to build up. Now, when a fire does start, it can quickly build to an inferno consuming plentiful fuel and devastating even the oldest, most fire-resistant trees.